Filta Environmental Kitchen Solutions is proud to announce the beginning of a season long service schedule at NASCAR Sprint Cup Series events with this weekend’s Daytona 500. Working under an agreement with Americrown, the concession services division of International Speedway Corporation, Filta will provide its proven FiltaFry deep fryer management approach to the over 100 deep fryers utilized at this premier NASCAR event. 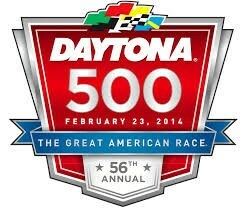 Daytona area Filta Franchise Owner, Sam Merrill will lead a team of Filta technicians that will undertake the operational challenges of managing equipment clean up, and waste oil disposal for this gigantic nationally televised event. Waste cooking oil from each of the dozens of concession stands located throughout the enormous 480 acre track complex will be professionally drained, transported, and transferred for rendering into bio-diesel fuel. Filta’s efforts will contribute greatly to International Speedway Corporation’s ongoing sustainability programs for their racetrack locations across North America.